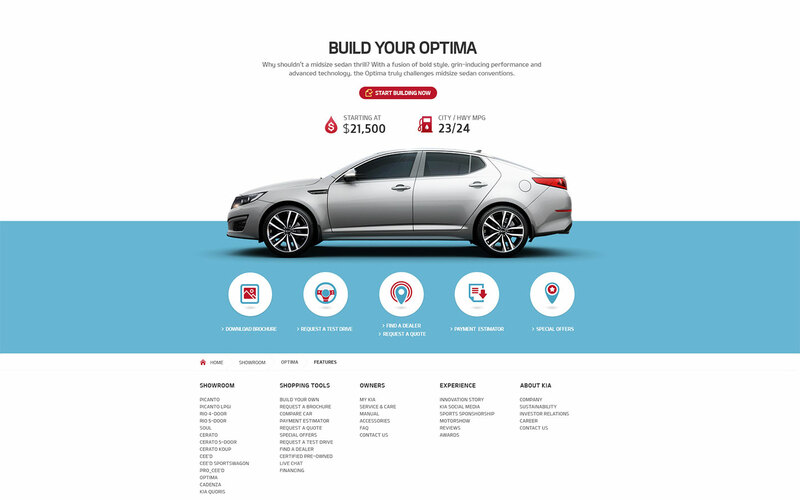 Kia Motors UI/UX Precedence | Work | the J - Your Creative Perspective. Re-Creative Experience, Design Company. 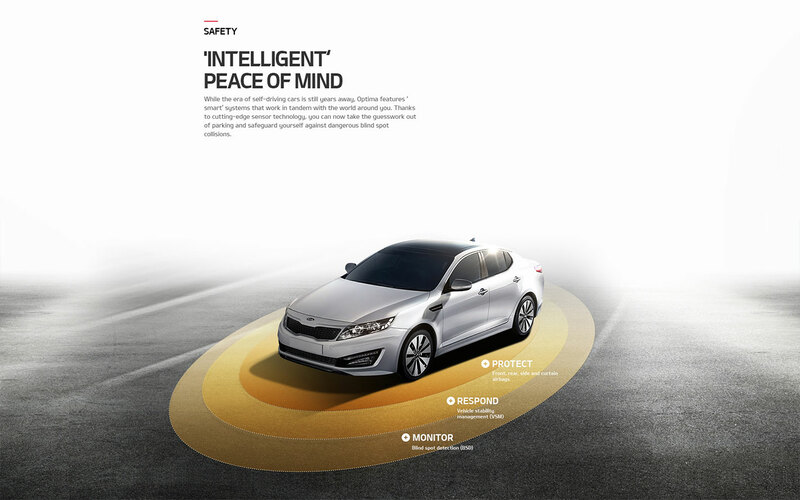 Elevating the digital brand experience of the global automobile company, we worked closely with Kia Motors Corporation to implement the new to-be model of Kia Motor's digital marketing platform. Through our market-driven design strategy, we focused on providing a cohesive framework for a consistent experience across platforms, as well as boosting operational efficiency with optimized content management solution. Designed to deliver a unique and delightful experience, we created the 'Fun & Exciting' concept through our creative visual approach and adapted the 'PLAY the PIECES' design elements for our visual grid design and responsive User Interface (UI) to inspire users to constantly engage with our intuitive and dynamic interactions. Aligning our creative design strategy with Kia Motor's vision, our visual guidelines have been structured to increase brand recognition while enabling global market expansion by providing a more unified and meaningful brand experience for Kia Motor customers and online users worldwide. Through our research-driven strategy and comparative market analysis, we re-thought the basic stages of the consumer's buying process (Learn -> Buy -> Use) in our strategic framework of creating a unique structure, content and function that best align with Kia business goals. 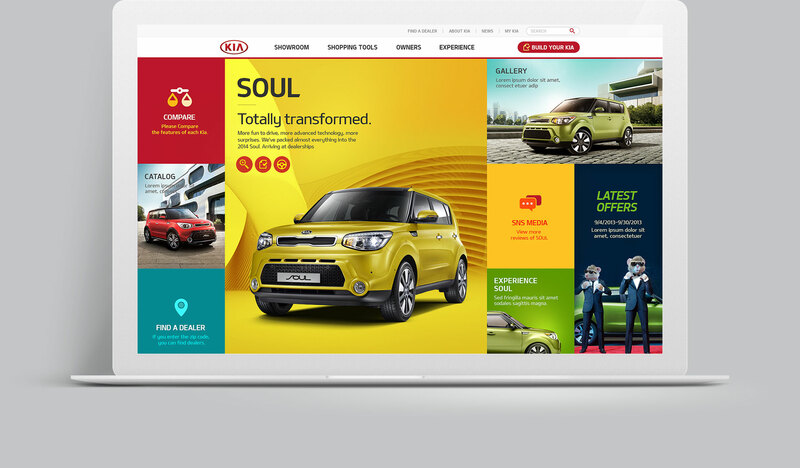 By facilitating a more efficient process that guides users to Call to Action (CTA) and that encourages further engagement, we aimed to provide an optimized purchase experience with a refined digital design that would bring a positive impact on Kia's local markets. Taking a flexible approach to our User Interface (UI) design, we have built a responsive site that delivers a more fluid and consistent user experience across multiple devices. To accommodate this, we created functional designs within a simple structure that improves the sales funnel and that encourages the user flow with more intuitive interfaces. 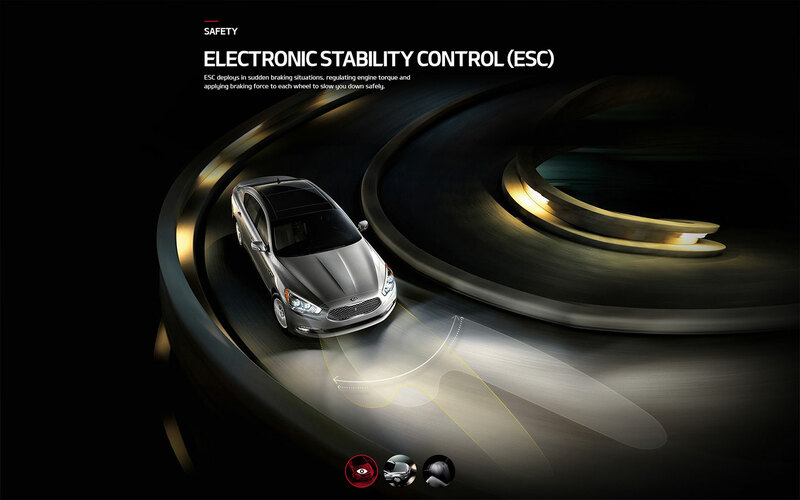 Dynamic and intuitive design elements have been integrated to provide a more lively, exciting and enriching user experience of the Kia brand. To meet the desired needs of online users, we implemented our 'PLAY the PIECES' concept to construct a fun atmosphere with easy interactions. 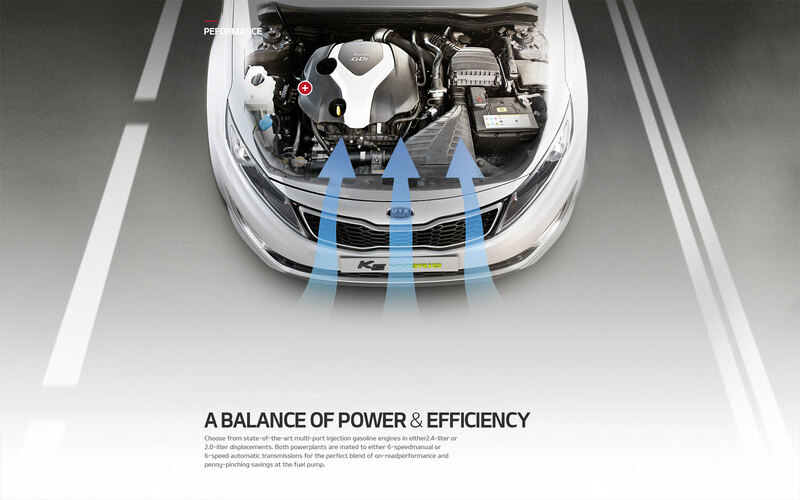 While remaining consistent with Kia website's tone and manner for a unified brand experience, big images have also been used for greater engagement and simplicity. From Kia Motor's flagship vehicles to commercial vehicles, we have provided a flexible framework to best present the dynamic content of Kia's local markets with the possibility of future rollouts. Communicating to users in a clear visual language by bringing easy swipe gestures to our interactive tile design, our new site has resulted in enhancing the browsing experience of every user's journey in a 'Fun & Exciting' way, while making a positive influence on market sales by delivering a truly engaging brand experience.